It would be interesting to know how this awful accident had happened, but the article gives no hint. On my arrival, which was little more than an hour after the accident had happened, I found the poor lad in a very distressing situation; the great arch of the stomach, and the whole of the intestinal canal (duodenum excepted) contained within the abdomen, having protruded through the wound. Wow. The shears must have made a huge opening for this to take place: virtually the entire gut had spilled out through it. The pit of the stomach. …and extending in a straight line near four inches in length, distant from the navel two inches. He was quite sensible, and had vomited so as to empty the stomach; very little blood was lost. It goes without saying that this was a horrible injury, and the risk of infection was very real. However, all things considered, there were also modest signs for optimism. 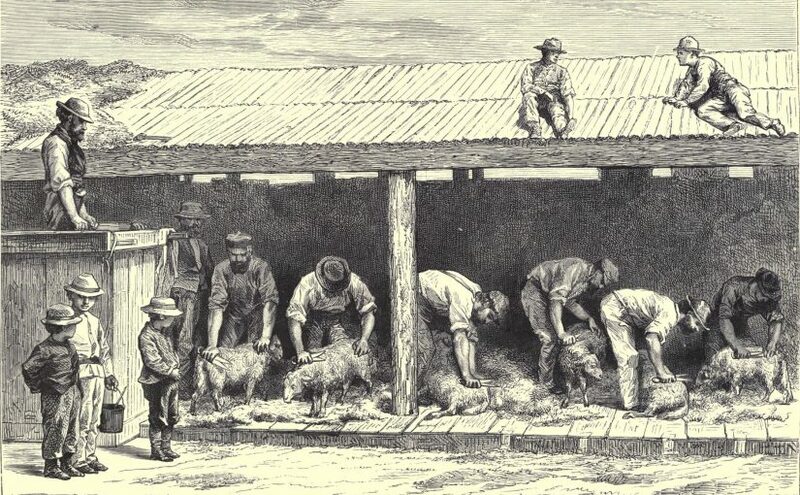 I immediately proceeded very carefully to examine the protruded viscera, none of which were wounded, and reduced them as quickly as possible, beginning with the stomach, and following the regular course of the intestines, in the latter portion of which I distinctly felt faeces, of rather firm consistence. In surgery, the verb ‘reduce’ means to restore something to its normal anatomical position. In this case, the intestines and stomach were manipulated back to their usual place inside the abdomen. He complained of some pain during the reduction, though not much, and expressed great relief when the parts were completely returned. I now desired an assistant to lay the palm of his hand over the wound, and make some pressure upon it, for I found, that without this, the parts would soon have protruded again by the action of respiration, which was oppressed and laborious. The surgeon now stitched the sides of the wound together using five sutures, and dressed it with plasters, a linen compress and then a large bandage covering the entire abdomen. Before I had done, he complained of feeling very faint, and I gave him to drink a little weak wine and water, which stayed upon his stomach. I had him laid in bed upon his back, and particularly desired he might be kept in that posture. Once installed in bed, the unfortunate young man was bled, the surgeon taking almost a pint of blood from his right arm. He was also given a hefty dose of Epsom salts (magnesium sulphate, then used as a laxative), which was to be repeated every two hours. September 4th—Mr A. Robinson visited him this morning, and found him pretty easy; he had passed a good night; no stool nor vomiting. He was ordered for diet today, a little hasty pudding, with treacle, for he now made frequent complaints of hunger. Hasty pudding was made by simmering flour and milk, producing a batter the consistency of wallpaper paste – and probably about as pleasant to eat. Rode on horseback to Ripon to have the wound dressed, the whole of which was healed, except a very small portion at top and bottom. In every respect very well, and regaining his usual healthy appearance. The stomach, distended at the upper part of the wound, appears much below its natural situation. I recommended him to wear, for some time, a broad belt, made of stout woollen cloth, round the injured part of the abdomen. Sensible: an abdominal injury of this severity might render the boy liable to hernia, which the surgeon was keen to prevent. He was also eager to clear up one aspect of the case which may have seemed dubious to his colleagues. Was it really possible for the stomach to fall out of an abdominal wound? 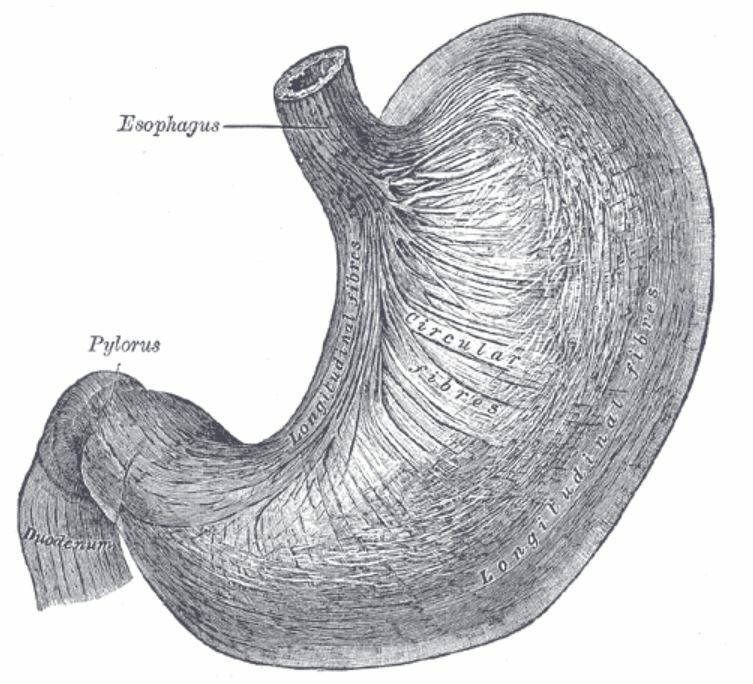 It may be matter of surprise and doubt to some, that the stomach, as well as the intestines, should have protruded through a wound in the abdomen, situated as described in the case just related; and it may not improbably be conjectured, that some portion of gut had really been mistaken for that viscus. Its protrusion is readily accounted for by the manner in which the boy was conveyed home after the accident. Instead of being laid on a hurdle, and placed upon his back, he was taken before a man on horseback. That’s right: somebody thought it was a good idea to sit a boy with a massive abdominal injury on top of a horse. Incidentally, the ‘hurdle’ alluded to here was not a fence, but a sort of frame or sledge that could be attached to a horse and used to transport prisoners or casualties. At this time but a small portion of gut had protruded, and a handkerchief was given him, with which he was desired to press upon the wounded part, which he, quite overcome with fright and sickness, was unable to do. The horse had proceeded but a little way, before he felt more intestine pushing out, till at length such a quantity had protruded, as by its weight was sufficient to drag out the remainder, and in this way the great arch of the stomach was drawn down. Horrendous. If he had been left lying on his back it is possible that only a small portion of intestine would have protruded; instead he was virtually disembowelled. Nov. 20th: Mr Lucas saw the boy with me today. The stomach still remains much below its natural situation, so much so, as, with the bulging out of the intestines around the wounded part, to give that side of the abdomen a very irregular, prominent appearance. He has been very well in every respect ever since his recovery; his appetite and digestion are both as good as formerly; and he is capable of enduring labour as well, and to as great a degree as before the accident.